Cationic Polyelectrolyte is a linear polymeric compound, because it has a variety of lively groups, affinity, adsorption and many substances forming hydrogen bonds. 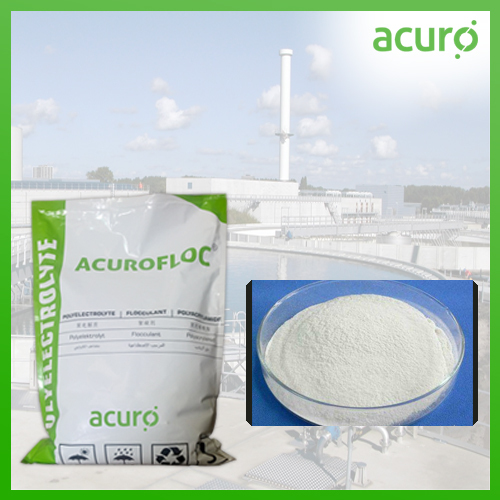 Mainly flocculation of negatively charged colloidal, turbidity, bleaching, adsorption, glue and other functions, for dyeing, paper, food, construction, metallurgy, mineral processing, coal, oil, and aquatic product processing and fermentation industries of organic colloids with higher levels of wastewater treatment, especially for urban sewage, sewage sludge, paper mill sludge and industrial sludge dewatering process. Water soluble, and can also dissolve completely in cold water. Add a small amount of anionic polyelectrolyte products, you can receive a lot of flocculation effect. while using the products and inorganic anion polyelectrolyte flocculant (polymerized ferric sulfate, polyaluminum chloride, iron salts, etc), you can display a greater effect.